Apple has released a new thing and thus we must wring our hands about issues related to the new thing that are actually only bad on other companies’ platforms and not Apple’s. Look, it doesn’t make sense, but it’s a thing we have to do. No, no one knows why. Look, this will go faster if we just get to the piece, OK? Why does society cut Apple so much slack? That question is pretty funny to a mythical beast who makes a living covering absurd table-flipping over Apple’s every move. But, yes, Apple is successful if that’s the complaint. Now think about your iPhone. It knows who you are. It knows where you are. It knows how many steps you have taken that day, or any day. It knows who you have spoken with and the sites you have visited. It may know how much you paid for your lunch. Yes, our iPhones know these things. That doesn’t mean that Apple does. True, any smartphone with the right apps knows all this and more. Yes! Other smartphones, apps and devices know more about you and many of them tell their creators about it. But let’s flail our arms like an air dancer at a used car lot because Apple just released a new phone. But the iPhone X knows something else: It knows with great precision exactly what you look like, for that is how you can unlock it. And Apple most definitely does not have that information. If you knew even the first thing about how Face ID works you would know that. You would also not have written an article purporting to discuss the privacy issues around Face ID in which the words “secure enclave” do not appear. You’re very careful about stuff like that, Gloria. That’s why we love you. We willingly give a US commercial company information that we feel squeamish about our own elected governments retaining. Apple does not have this information. It is stored and verified on your phone. It is not transmitted to Apple. How many times does the Macalope need to repeat this? 10,000? 400,000? Infinity times? Infinity times plus one? That’s not a real thing, Hamish. The Macalope just can’t do that. Privacy is not the only area where our societies cut Apple (and indeed Facebook and Google) a lot of slack. Apple is objectively the company that takes the most care concerning the privacy of its customers but let’s talk about it instead of these other Shemps because we have misunderstood how Face ID works. Look at monopoly. Suppose Apple were a bank, which indeed it may become. How would we feel about one American bank dominating global finances in the way that Apple dominates its market? Say whaaat? It is hilarious to the Macalope to see Apple, the company that is routinely lambasted for its woefully small market share, described as a company that “dominates its market”. 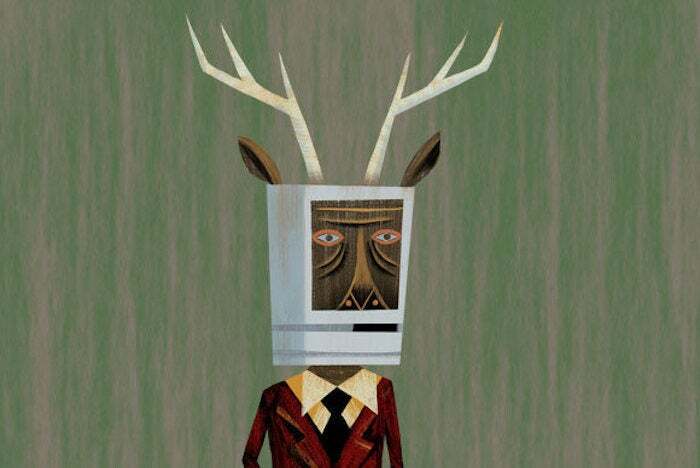 For the record, the Macalope agrees with most of McRae’s comments about Apple’s efforts to reduce its taxes by funneling its profits through offshore companies. But on privacy his comments are both wrong and misplaced.